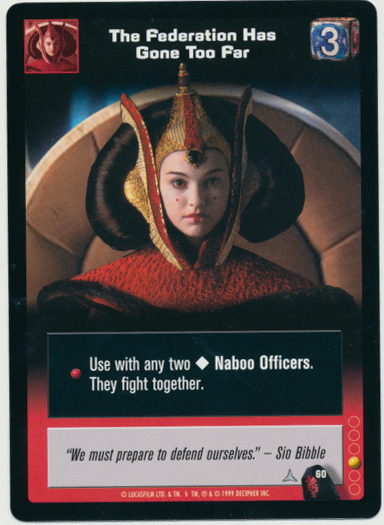 With the release of Star Wars: Episode I–The Phantom Menace, Decipher introduced a new Collectible Card Game, Young Jedi. 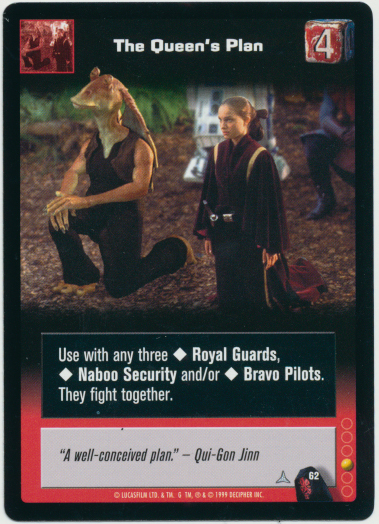 The first expansion, containing 140 cards, was Menace of Darth Maul. 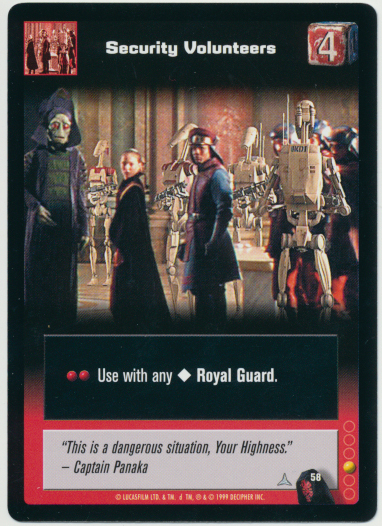 There are six cards in the Battle Card subset with our Queen on them. Today, we see the three common cards.. I never played the game, so I can’t explain any of the numbers or graphics.